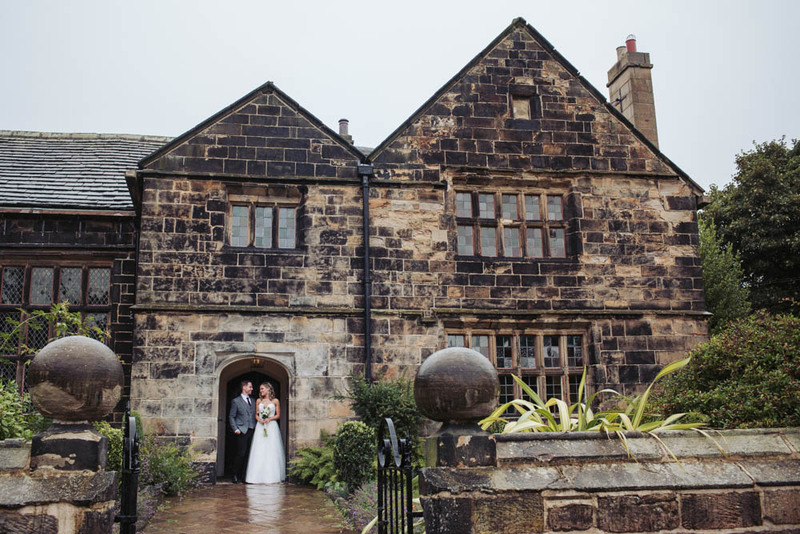 Of all the days in the year to have an Oakwell Hall wedding, this was most certainly the wettest! 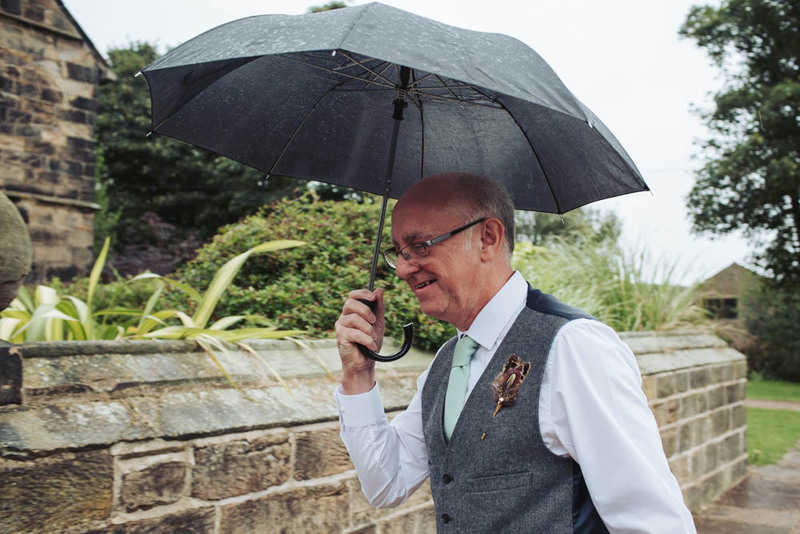 This was not only the heaviest single day rainfall we had had in 2016 but also the rainiest of days I have had the pleasure of being wedding photographer for. 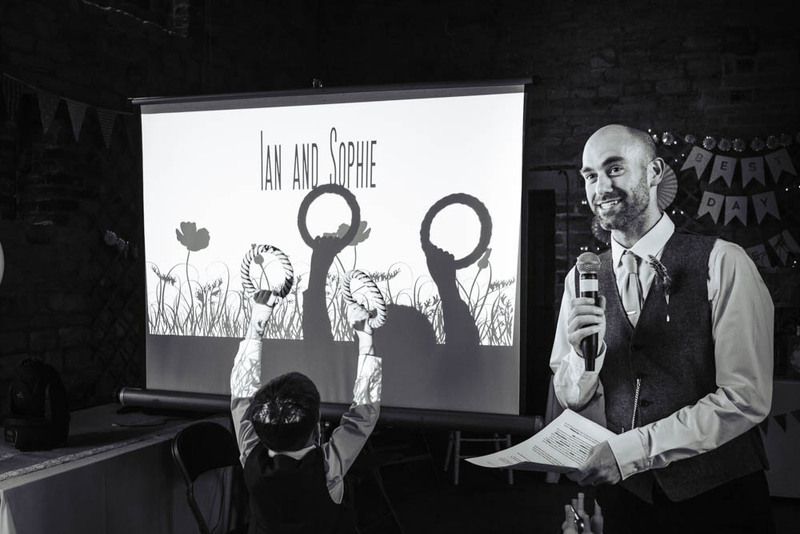 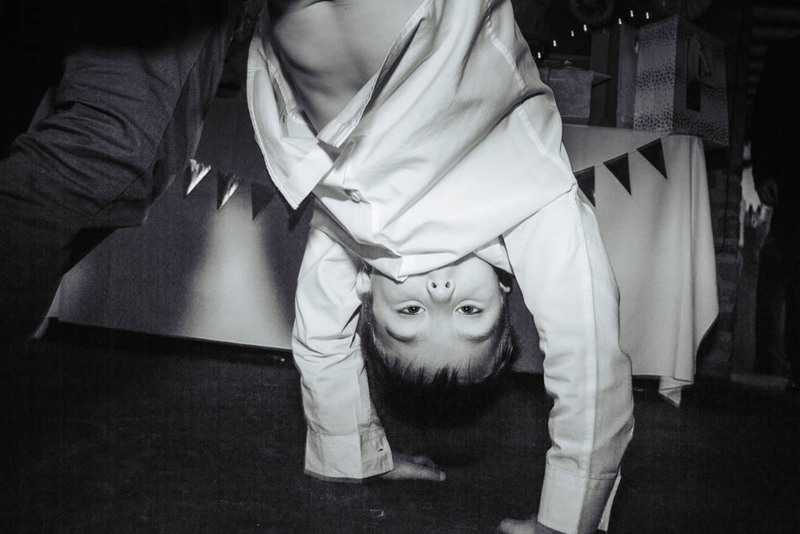 Despite this being one of the most common of wedding day worries (after all we can control almost everything but the weather) Sophie and Ian did not let the deluge ruin one moment of their fun! 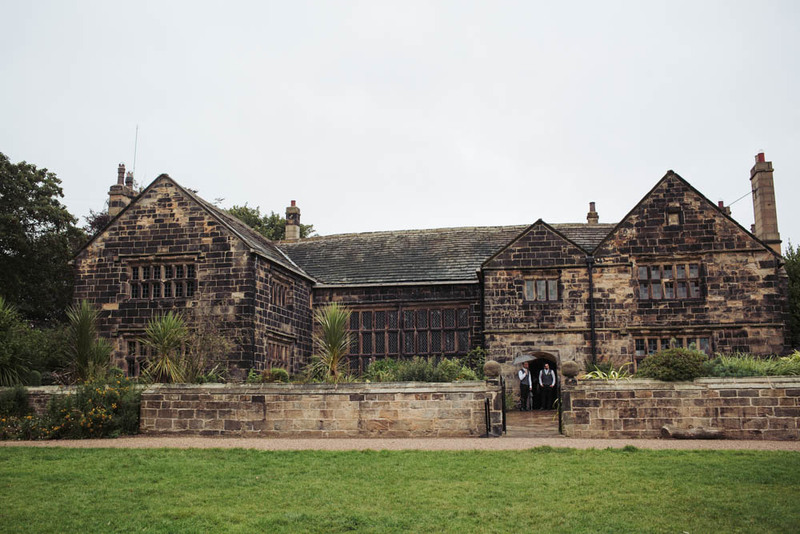 It’s no surprise that a Yorkshire venue of such character was a setting for one of Charlotte Bronte’s novels, renamed Fieldhead Manor House in her novel “Shirley”. 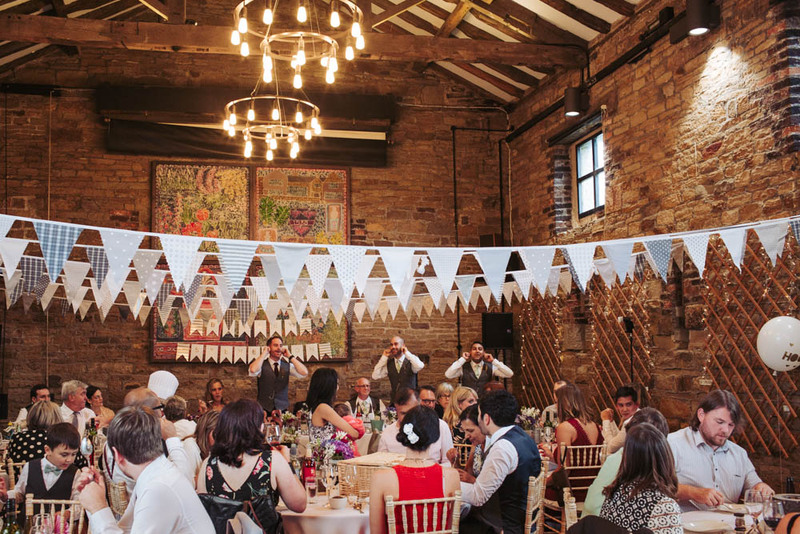 Oakwell Hall is a Elizabethan manor house retaining much of it’s original character and charm, set on the outskirts of Leeds with period gardens with a fabulous old barn within the grounds. 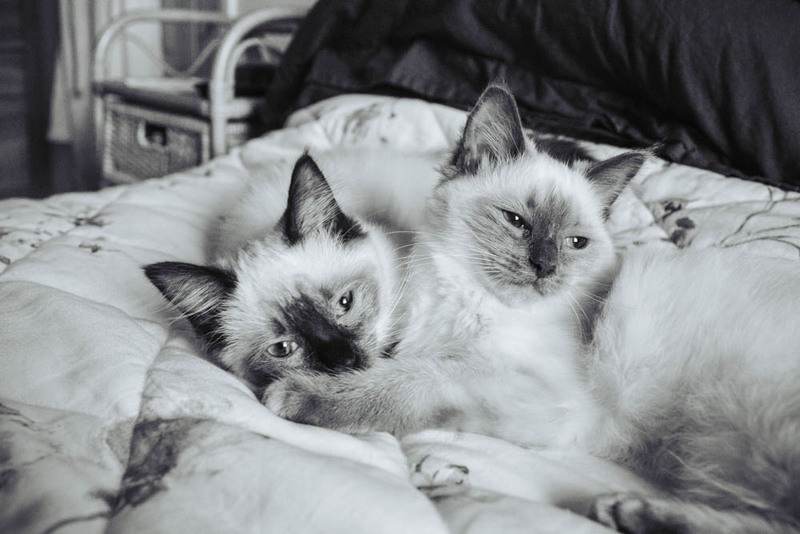 Sophie spent the morning preparing with the girls (and kittens!) 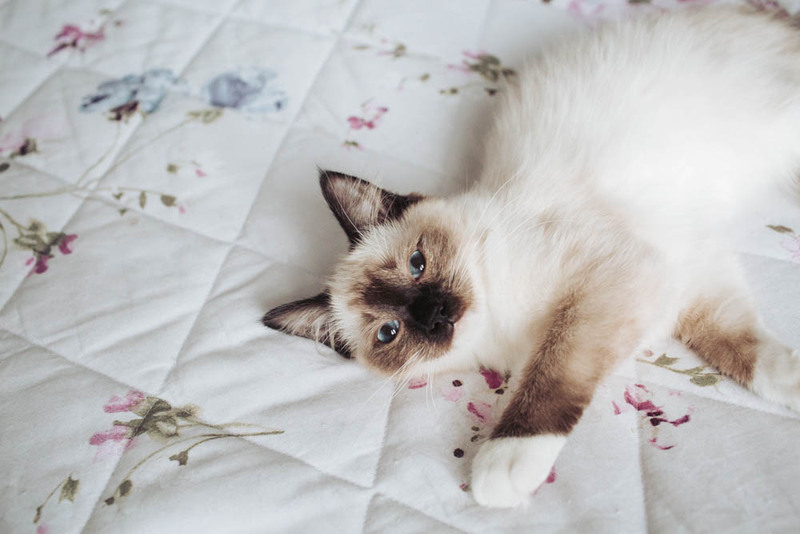 at her mother’s home. 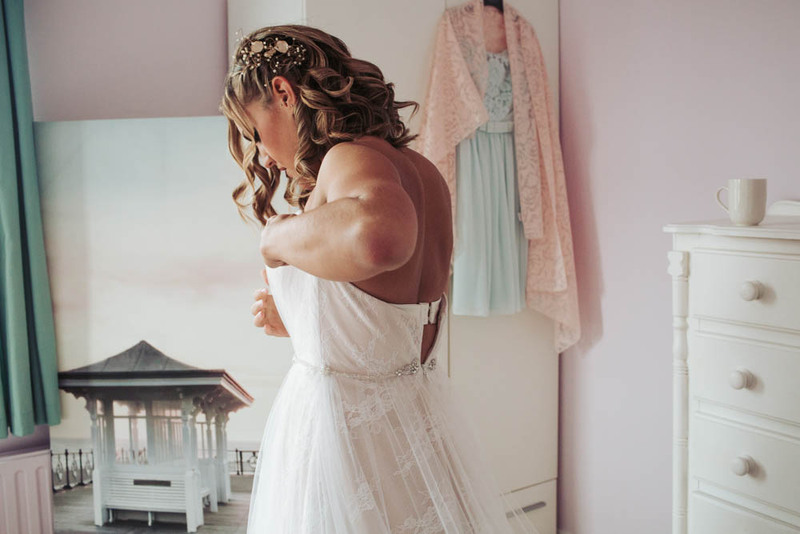 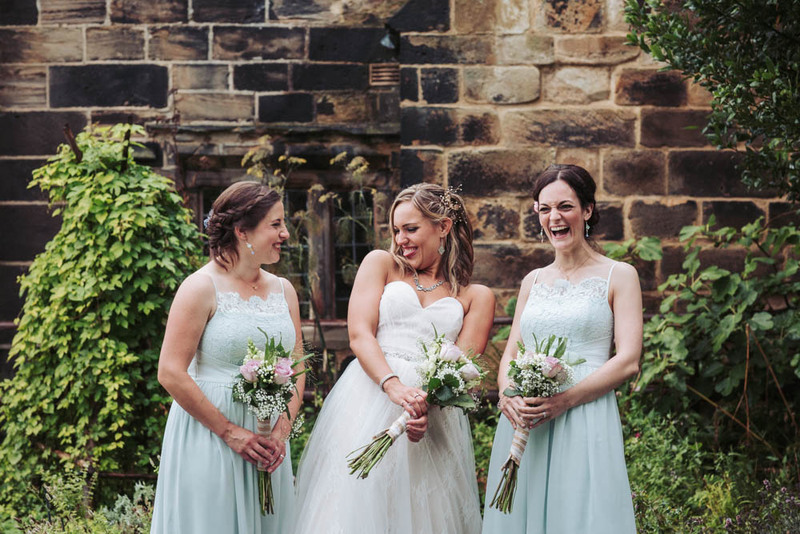 Her outfit for the day was a beautiful sweetheart top wedding dress with lace and tulle overlay with her bridesmaids in pale mint dresses. 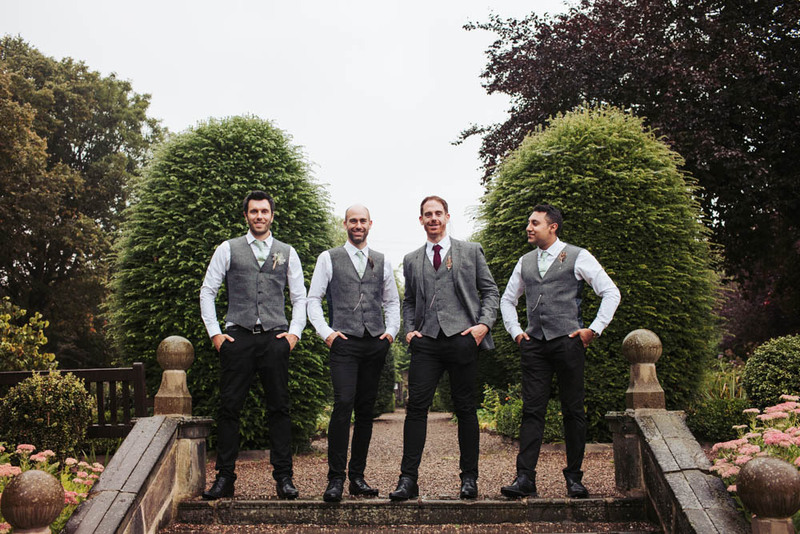 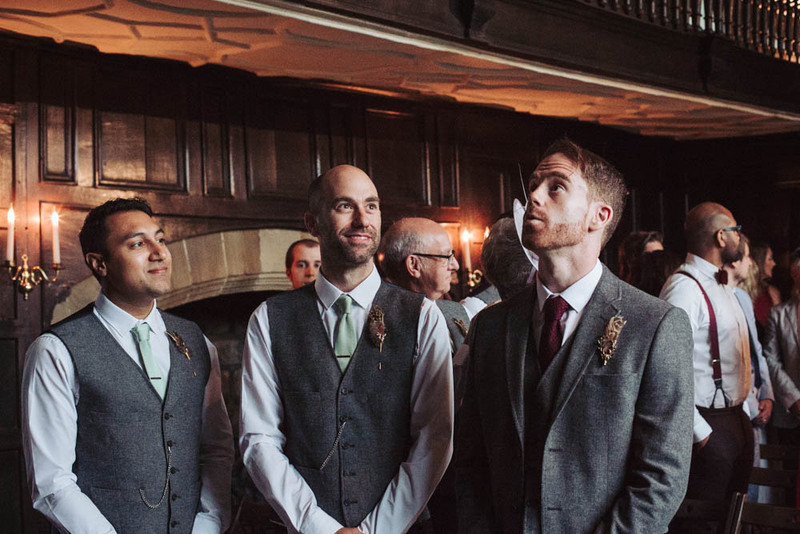 I met with the groom and his men at Oakwell Hall. 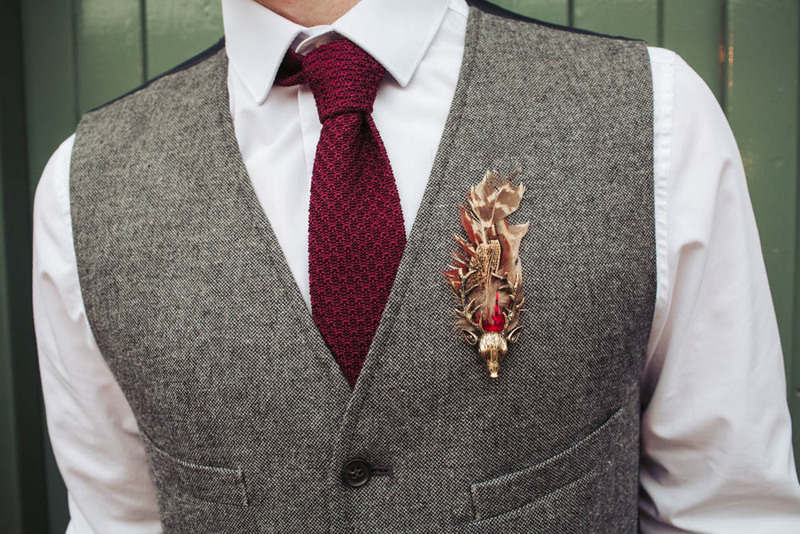 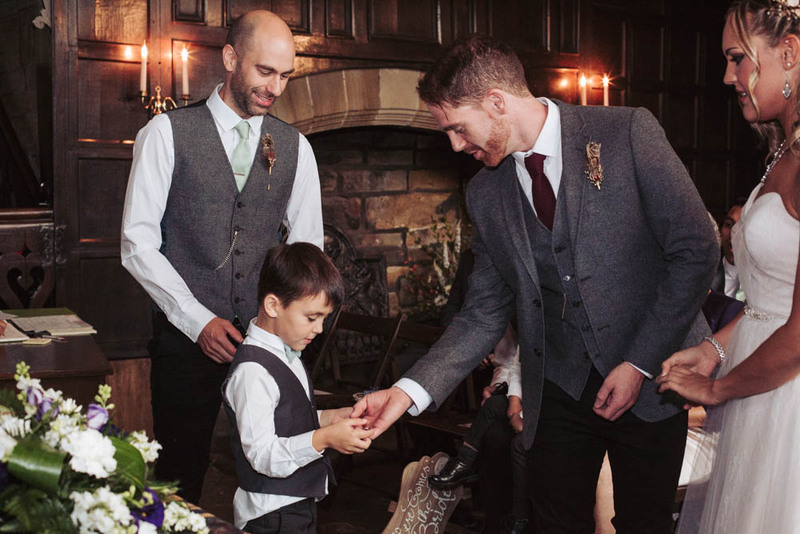 They wore grey woollen waistcoats, each of their jackets adorned with a stag and feather pin, combined with a pair of black skinny jeans. 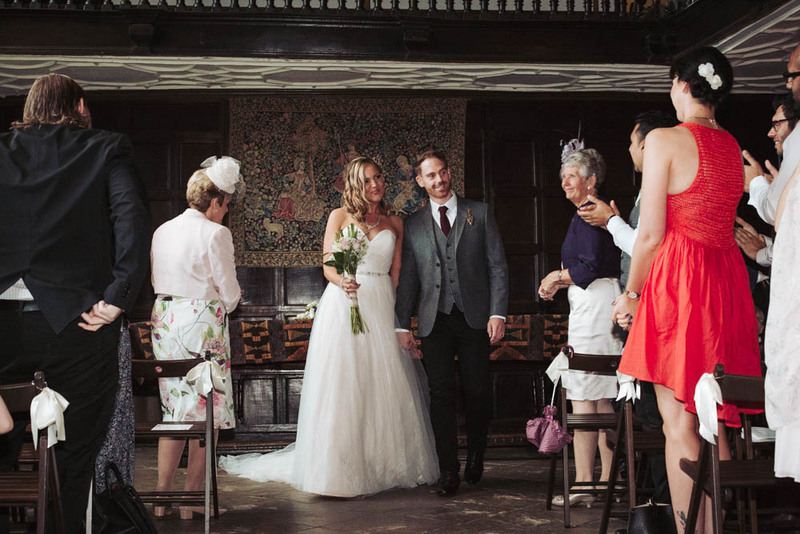 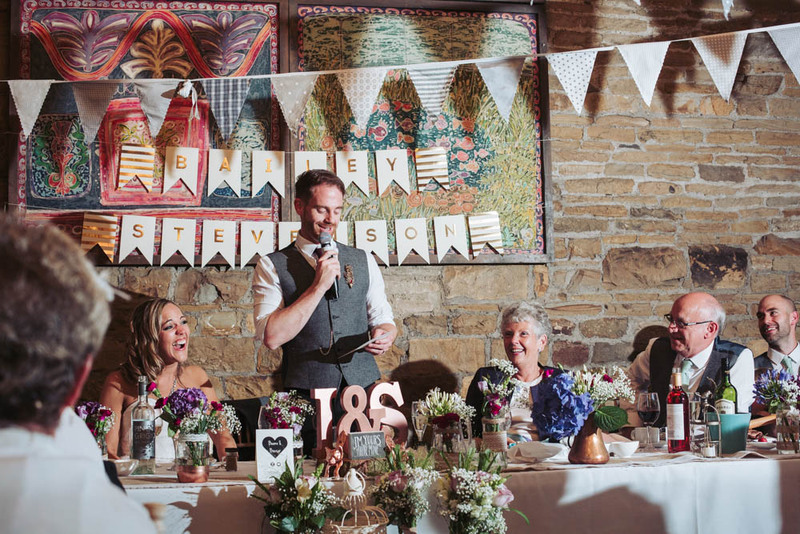 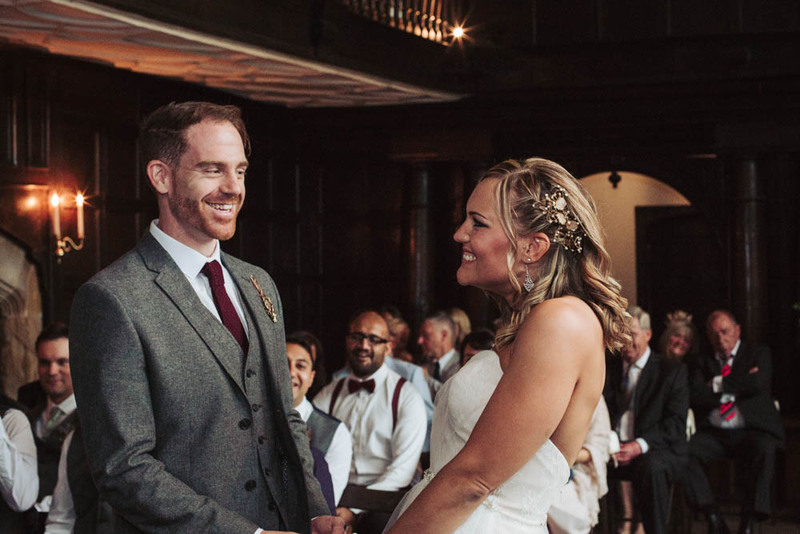 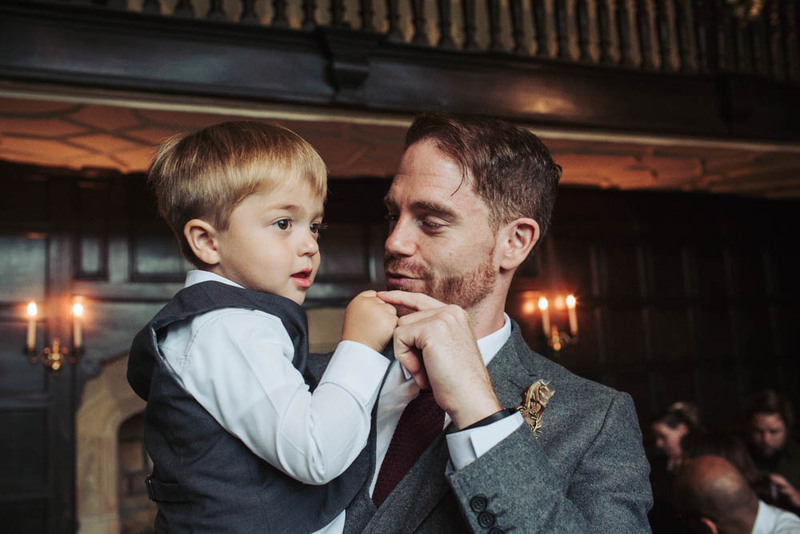 With a ceremony room of dark wood panelled walls, hung with tapestries and a Yorkshire stone flagged floor, there was no shortage of moody backdrop for the ‘I do’s’. 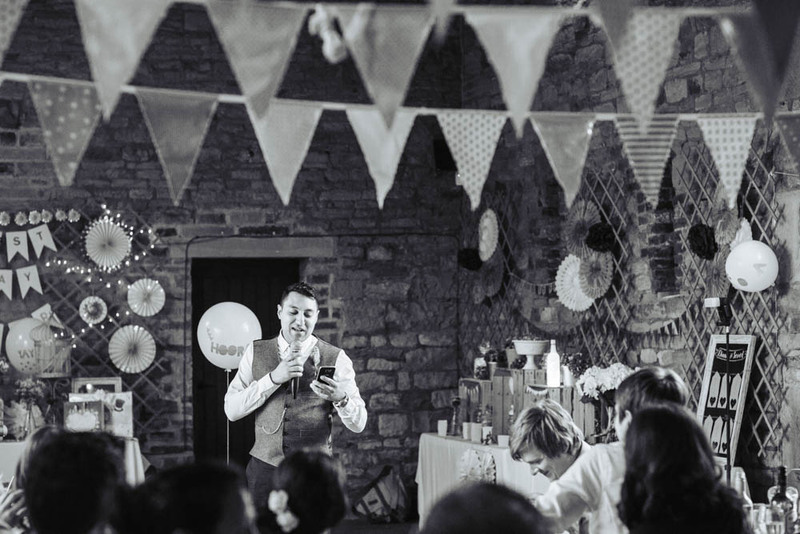 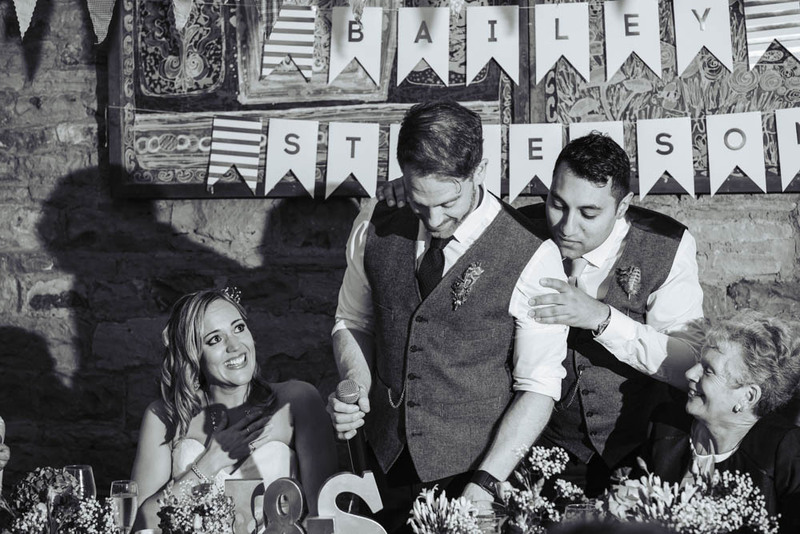 Plans for outdoors games were scuppered by the unrelenting rain so the guests were moved on straight to the 19th century barn with it’s fabulous bare stone walls and wooden beam ceiling. 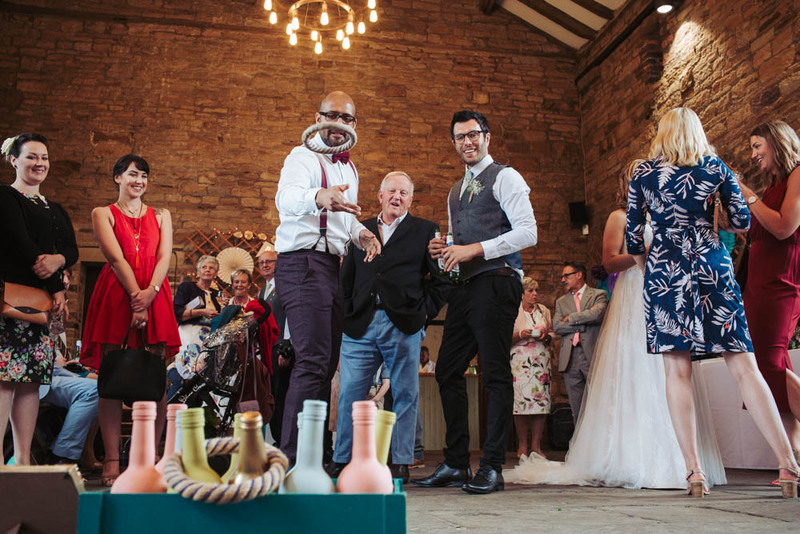 Thankfully all was not lost to the weather as there was plenty of room inside for some games of Bottle Ring Toss amongst others. 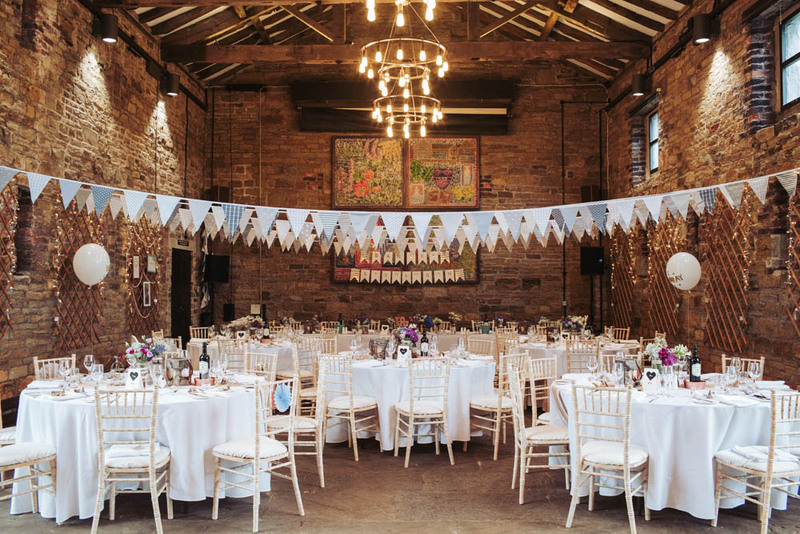 Sophie had sourced all her own decorations for the barn, adding her own special creative touch. 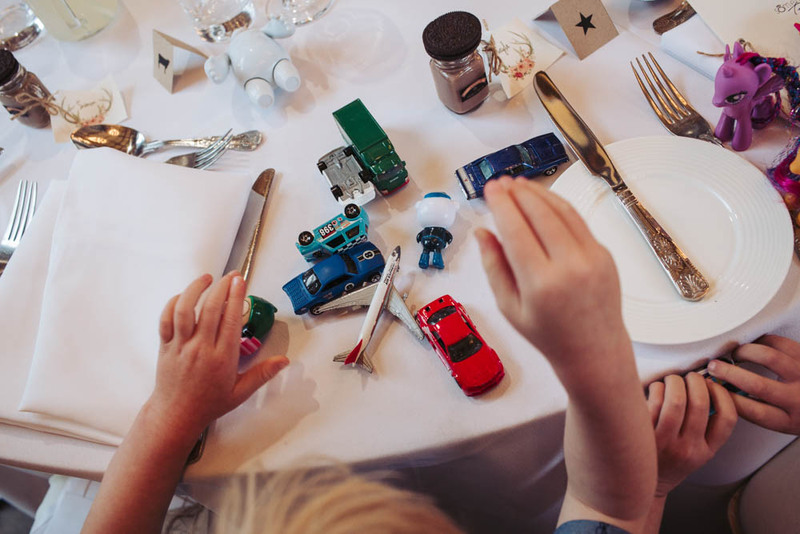 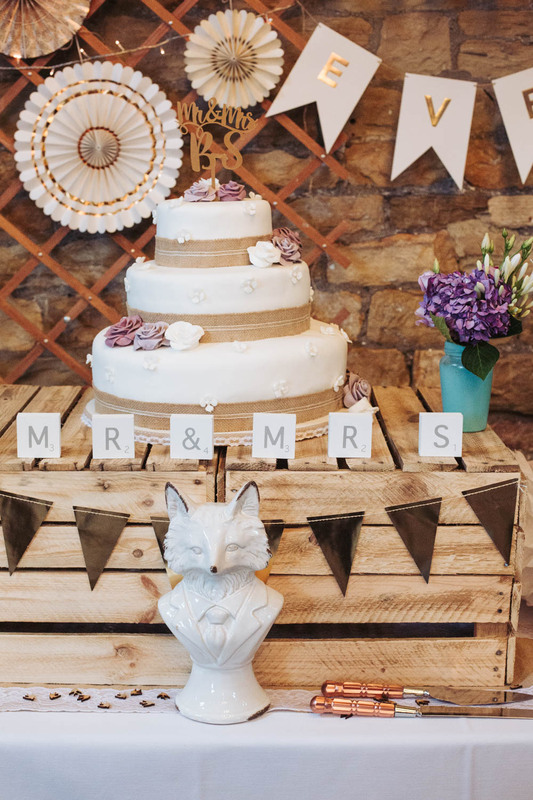 With the help of family and friends, they had set up the room the night before, filling it with fan medallions, bunting, fox ornaments and all kind of other exciting knick-knacks. 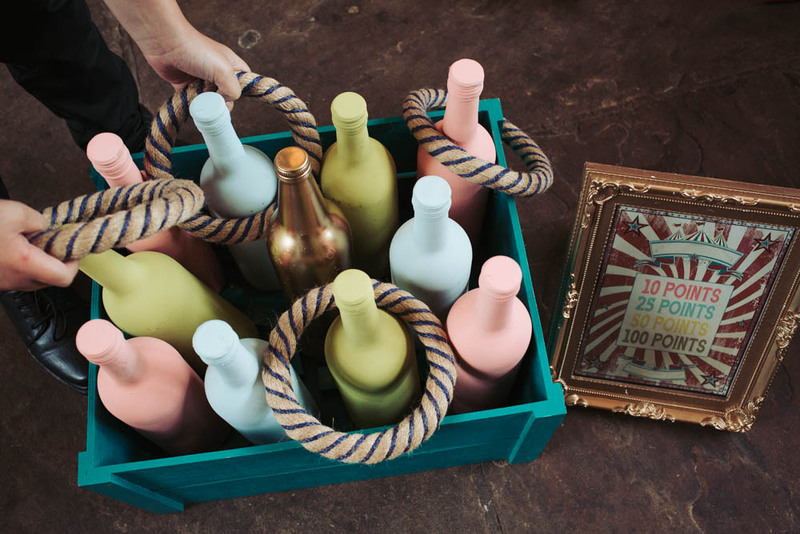 Miniature Mason jars, filled with shots of Baileys and topped with Oreo biscuits made for suitable name themed favours. 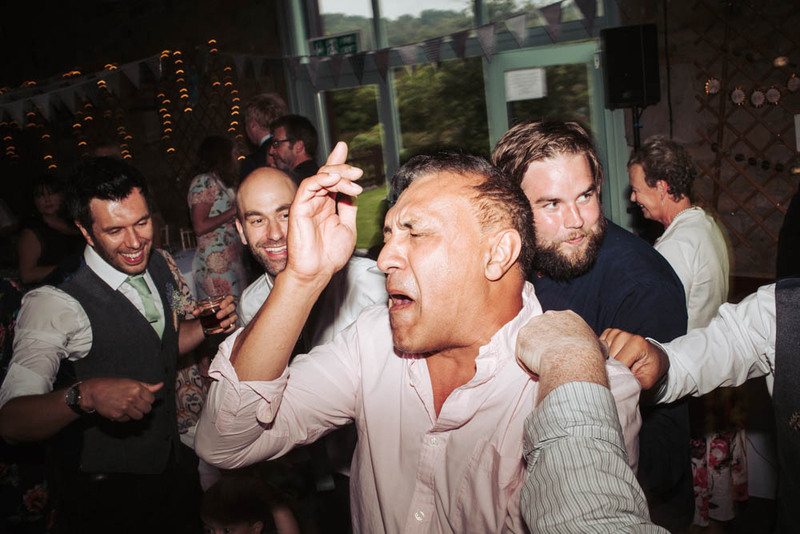 There was fun, there were games, there were bellyfulls of food and drink and there were good times had by all. 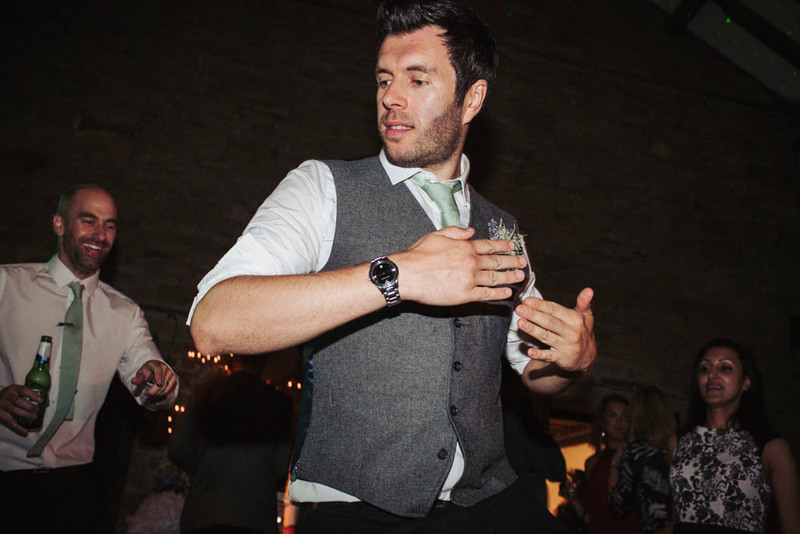 This also included the continuations of some rather interesting stag games involving many thumbs. 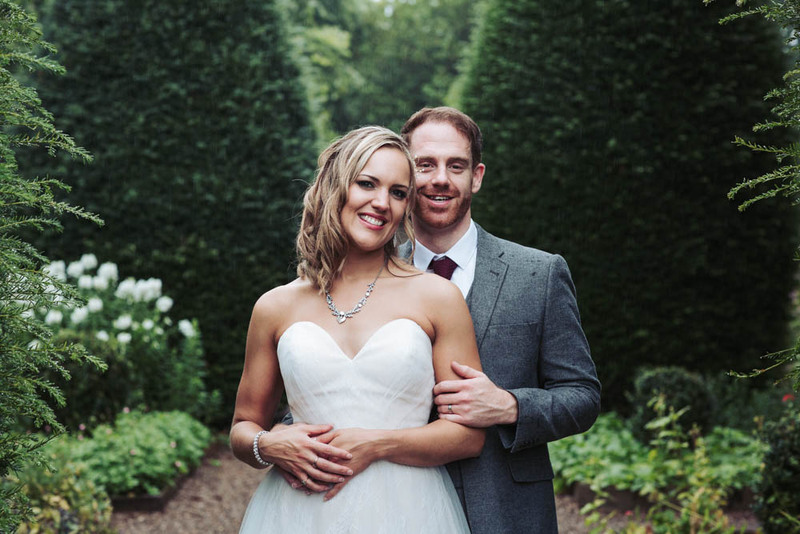 Just before the sun set and darkness had time to fall, the rain abated and we made our way back to the Hall’s gardens for some couples wedding photography. 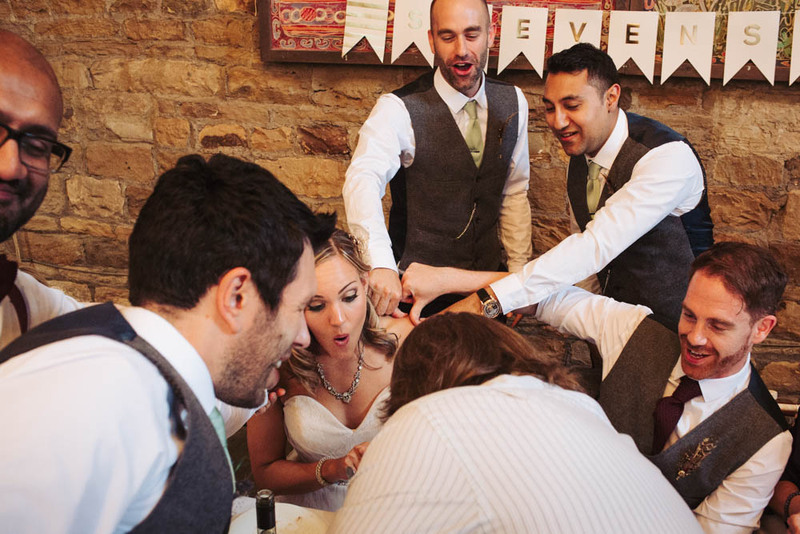 What you can’t quite make out in these smaller pictures, is the water running down Sophie’s arms! 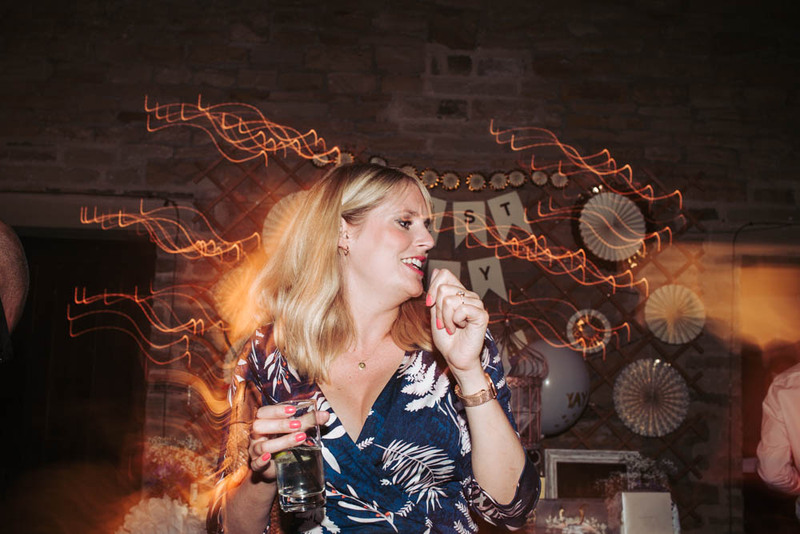 Once we’d got some fantastic shots of the two of them we grabbed our brollies and dashed inside to continue the party in the shape of some dance floor crazy moves. 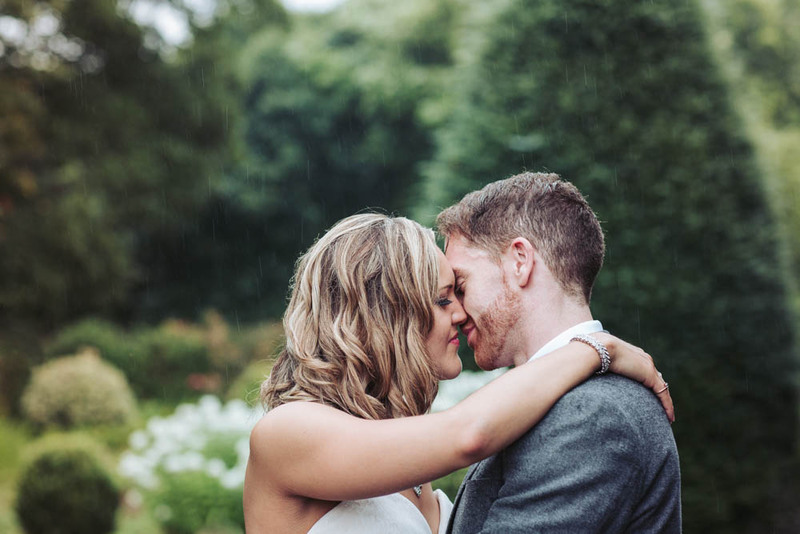 Thank you Sophie and Ian for braving the rain, for having the most wonderful friends and family and for being one of the most lovely and fun loving couples I’ve had the delight to photograph. 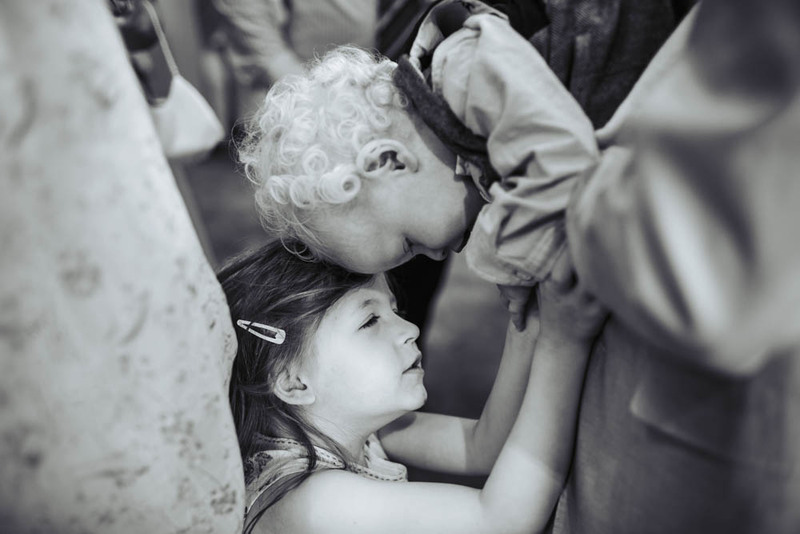 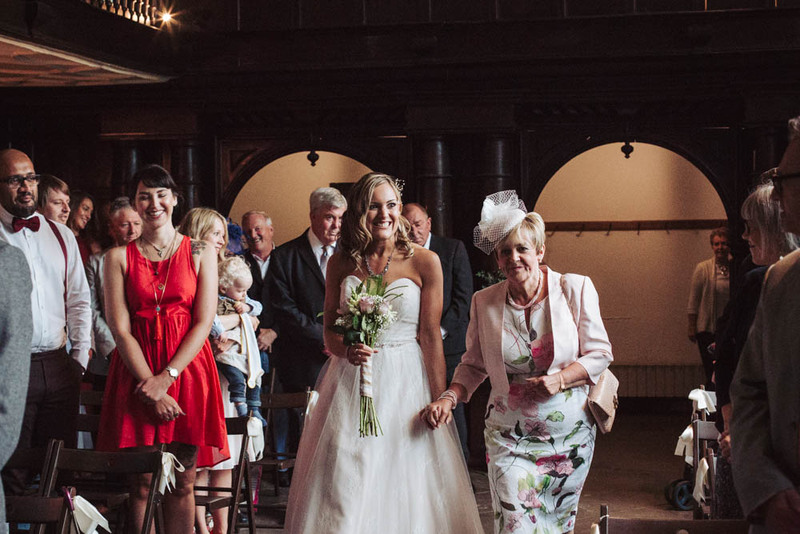 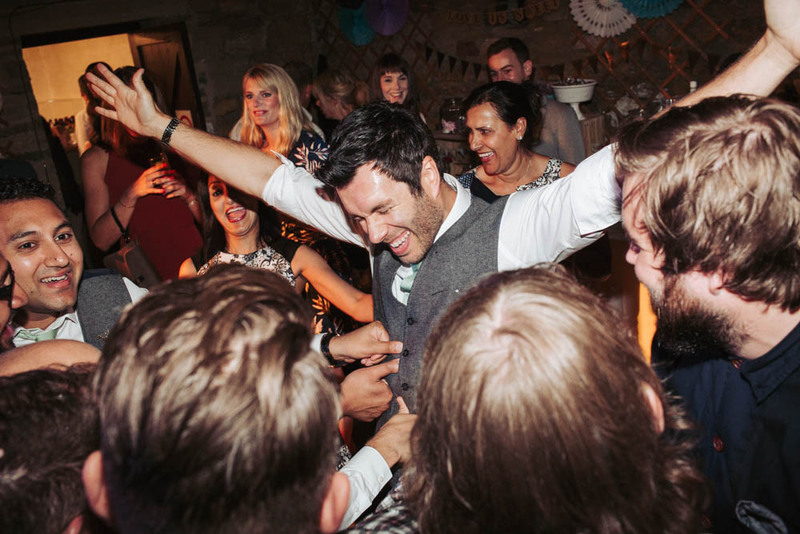 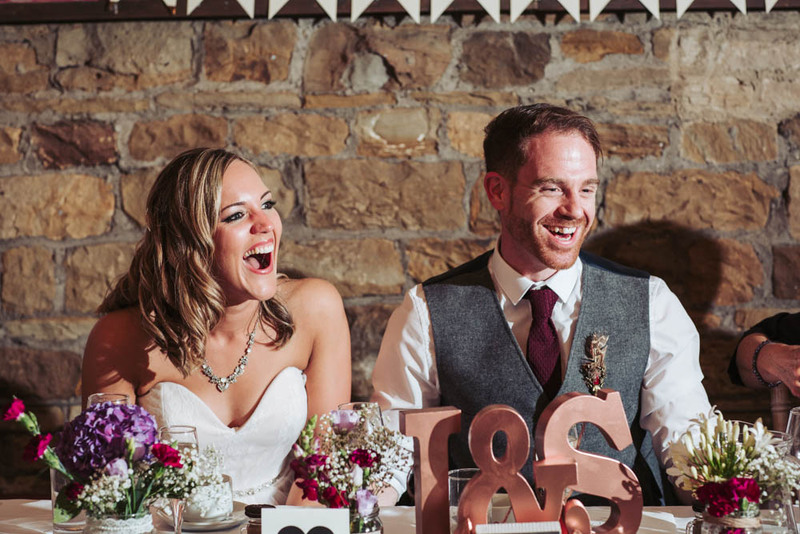 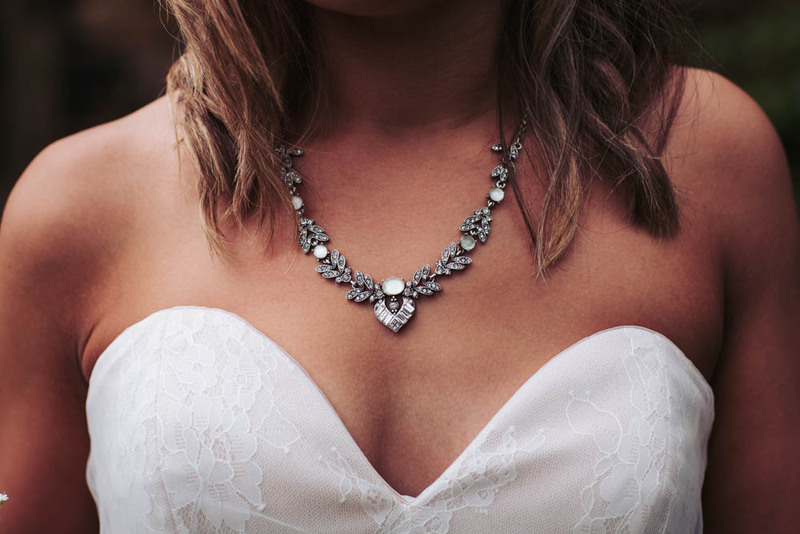 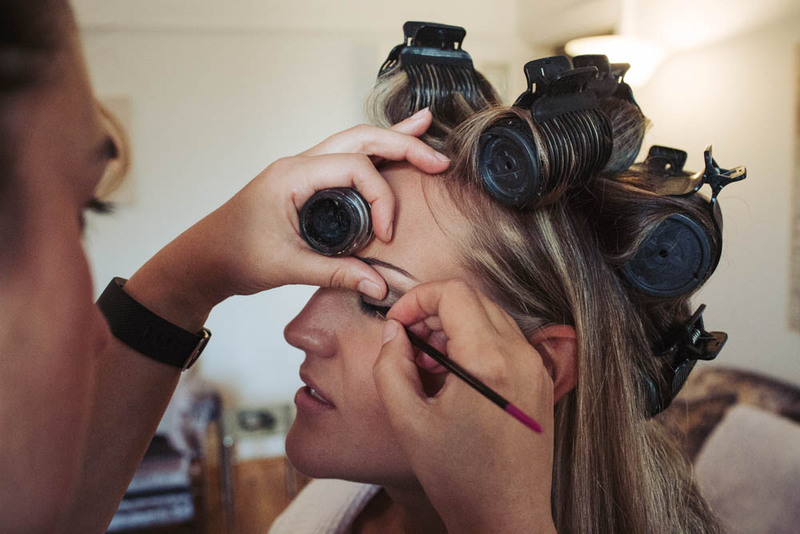 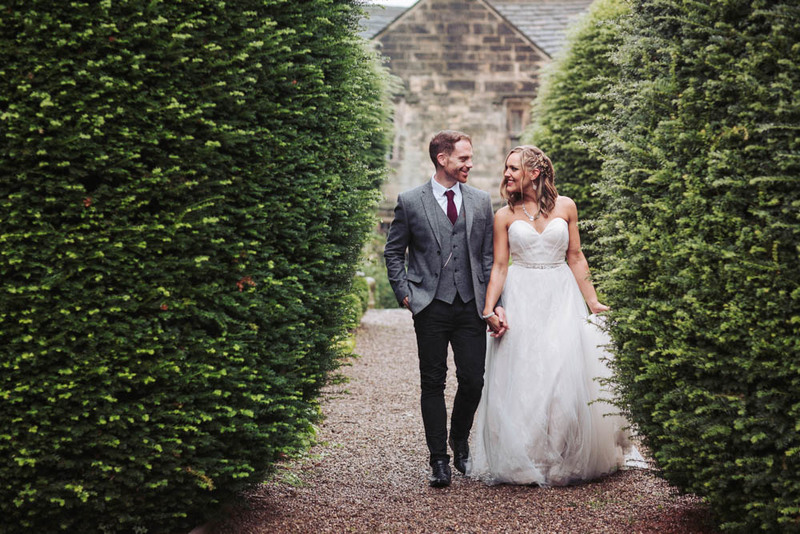 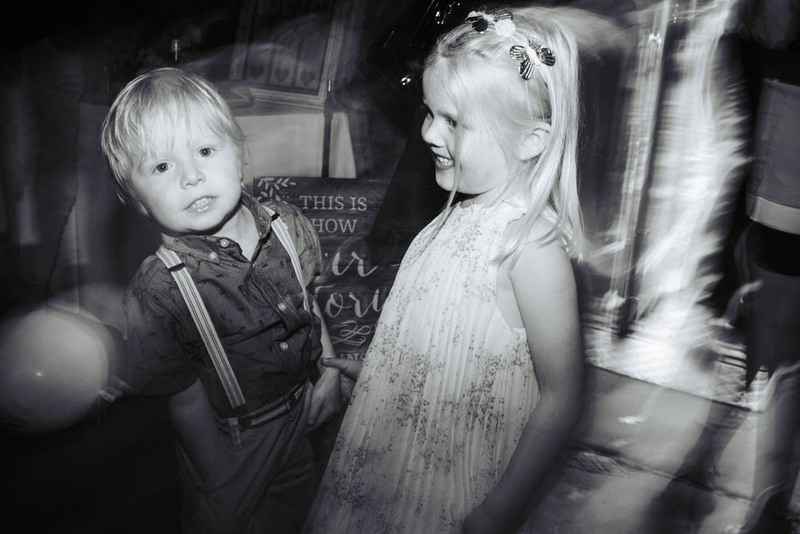 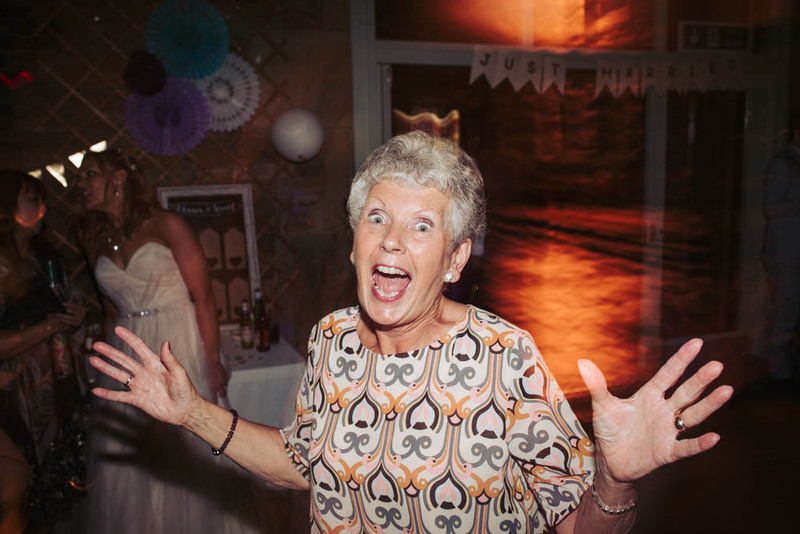 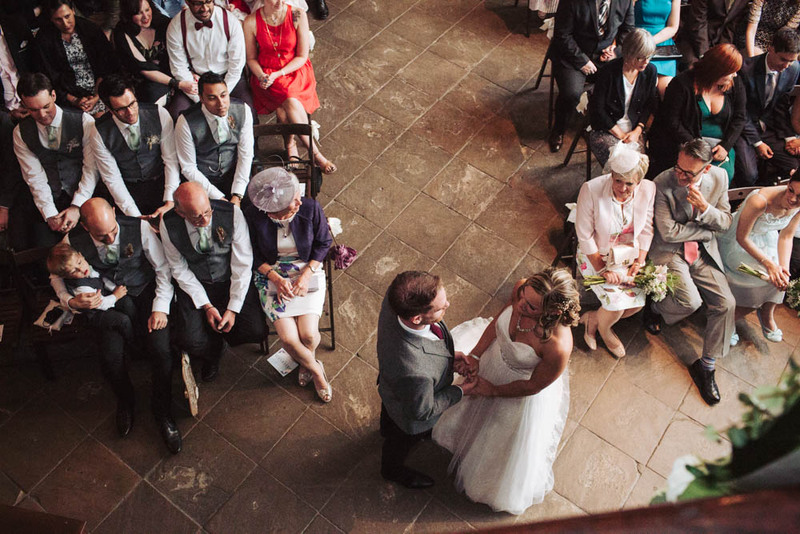 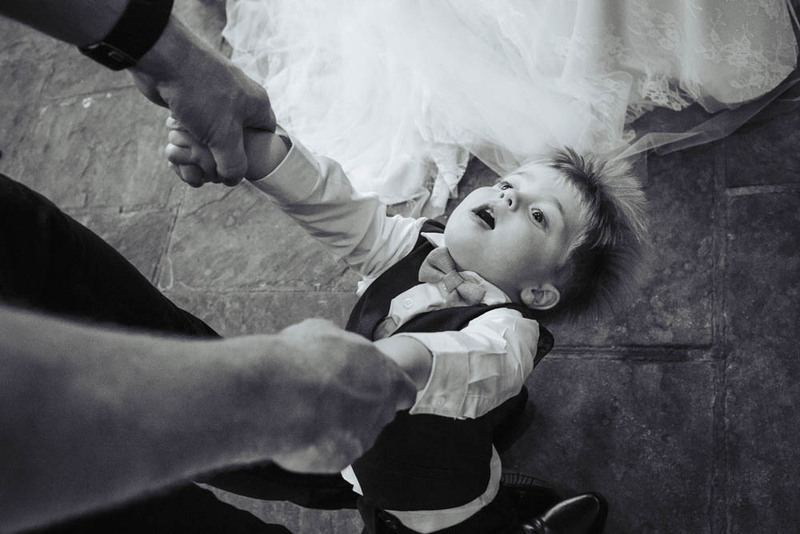 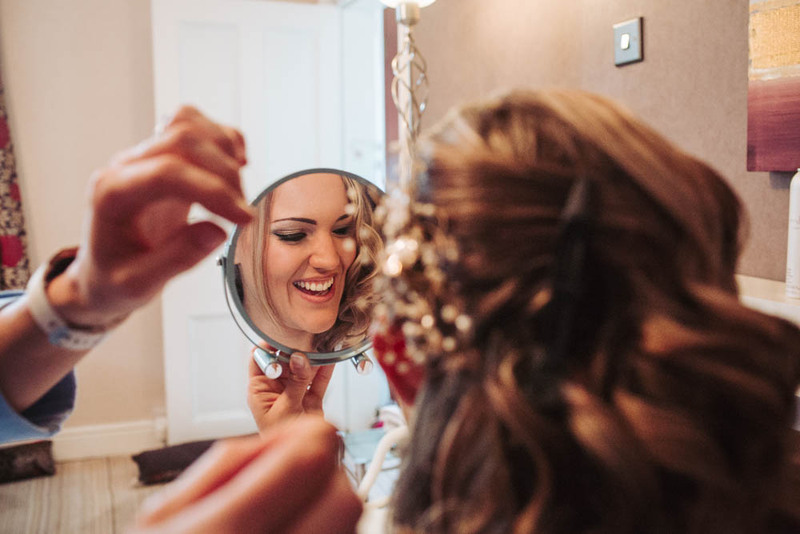 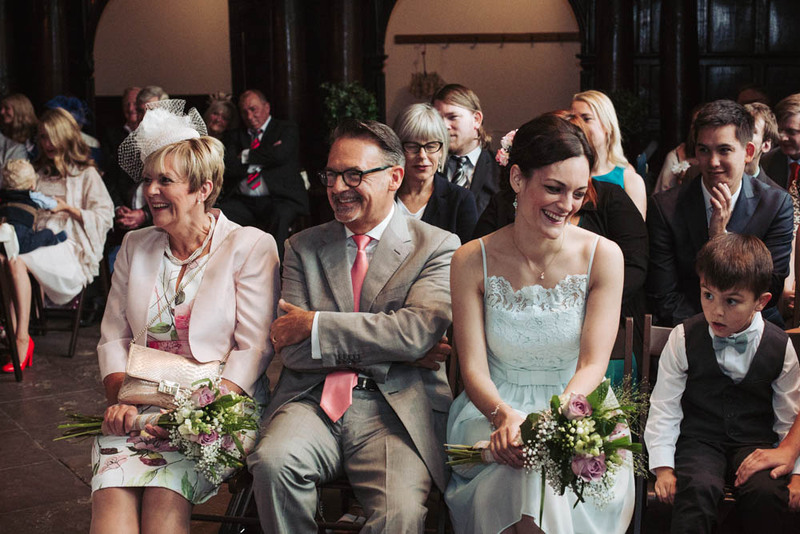 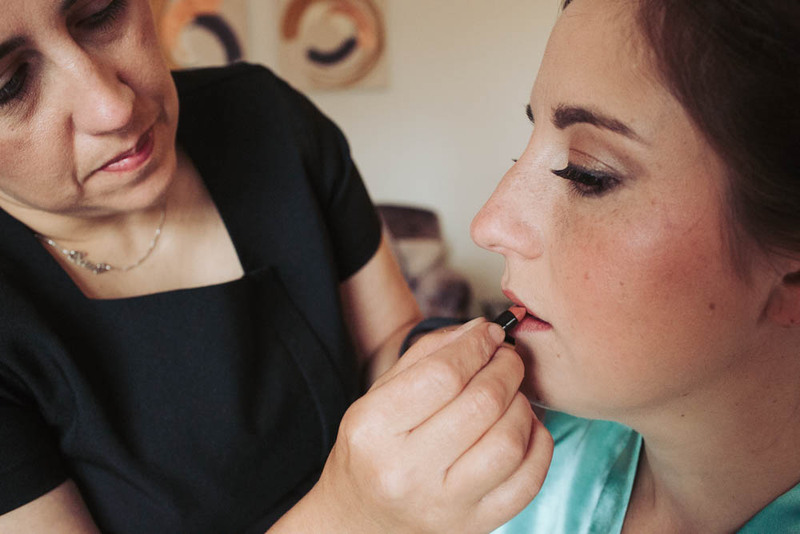 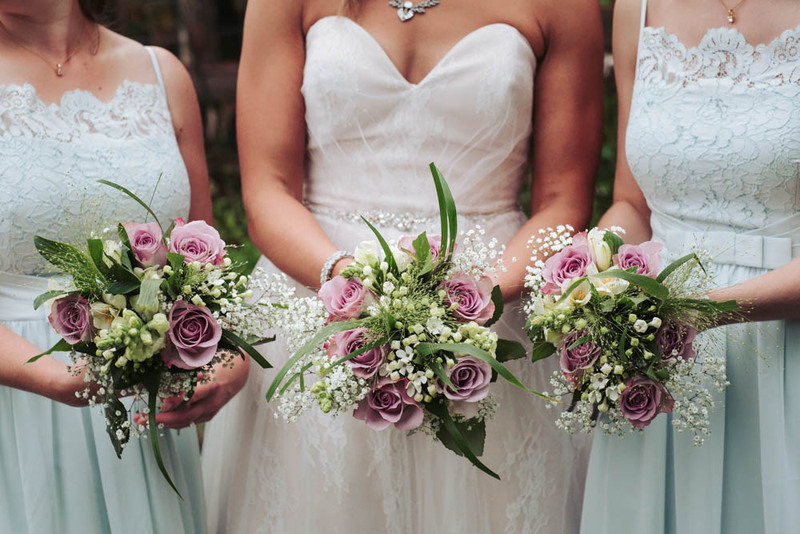 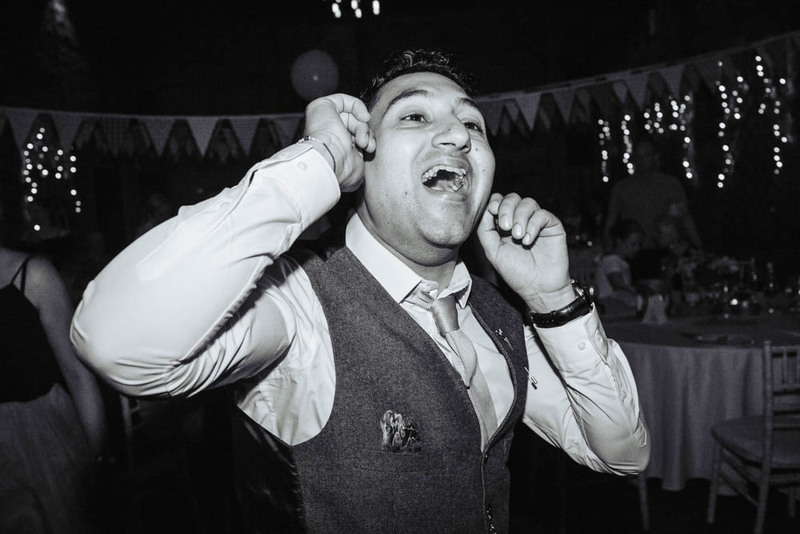 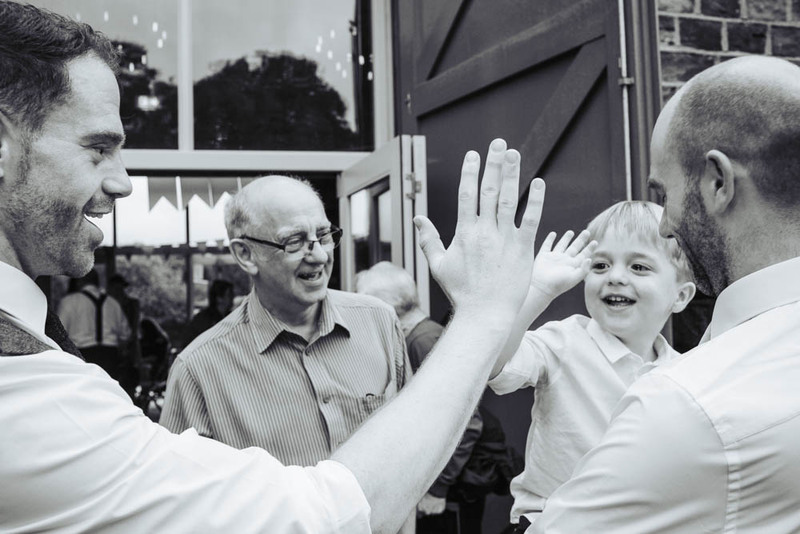 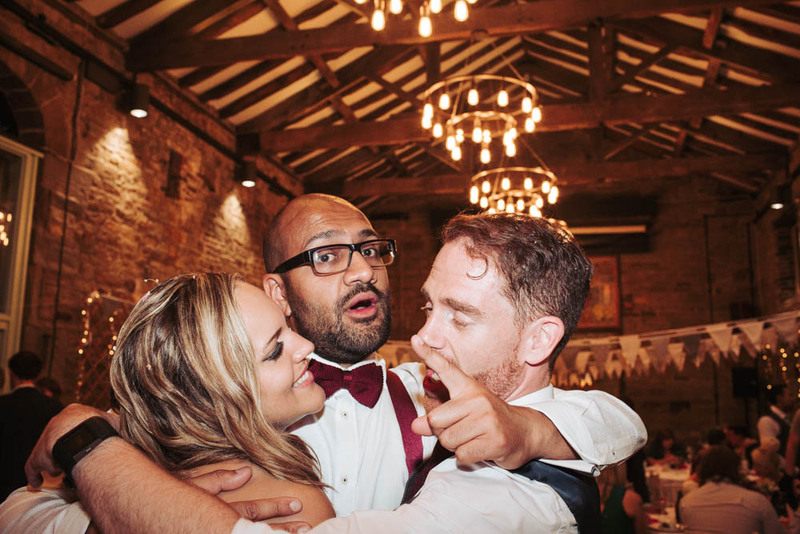 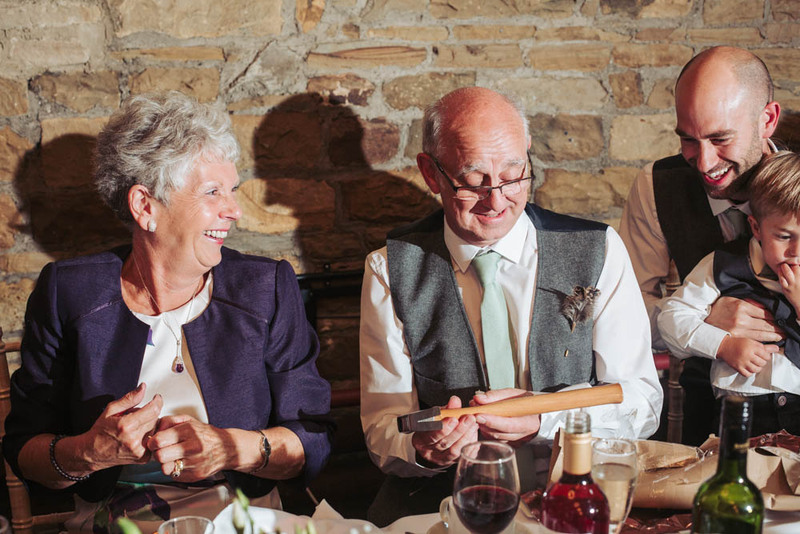 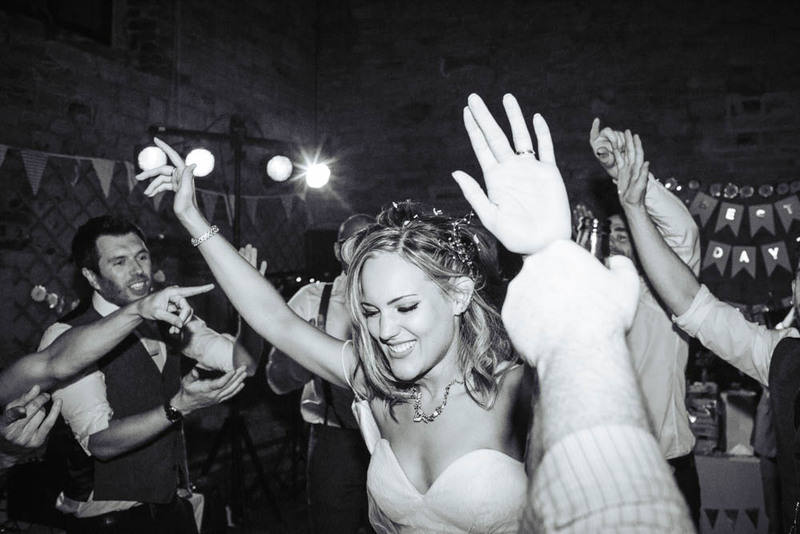 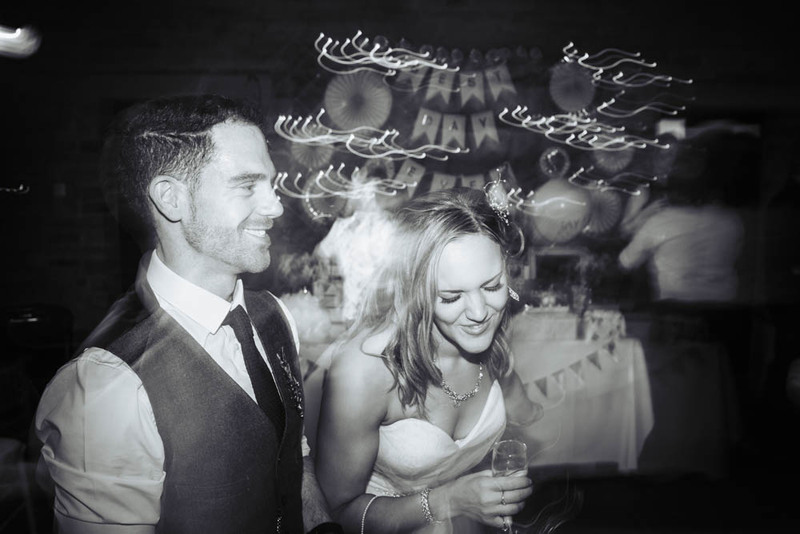 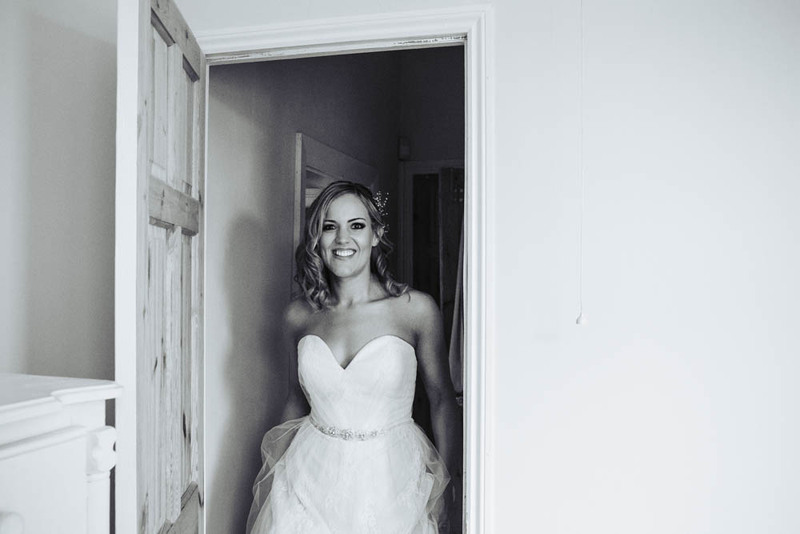 See some highlights of this Oakwell Hall wedding photography below. 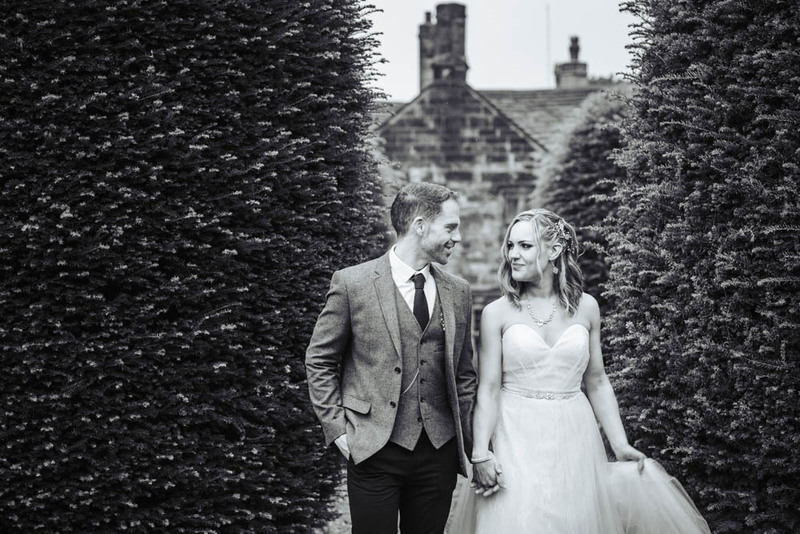 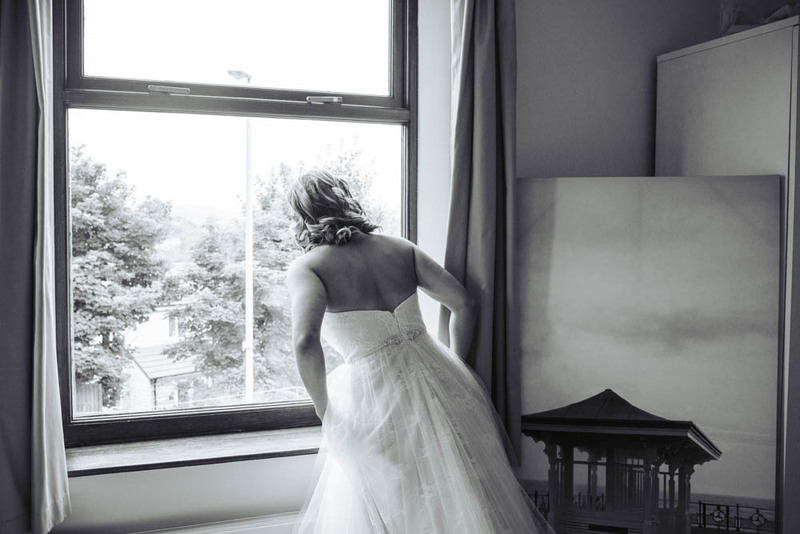 If you are planning an Oakwell Hall wedding, I would love to hear from you.